The article will give you an idea of the practical reasons why you should hire professional house cleaning services. 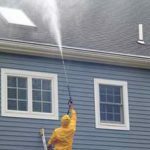 It also talks about Sea Spray Exterior Cleaning and the factors why it is chosen by many in Hilton Head Island, Bluffton, and Lowcountry, SC. Home cleaning should not just focus on the inside. If you want to make a good impression about your home, you should also look your best from the outside. Exterior house cleaning should be given the same attention as your interior. Exposed to all elements each day – dust, oil, and dirt, among others – your exteriors will surely need a makeover at least once a year. It evidently feels great to come home to a clean home which starts from the outside. Who wants to see filthy siding, driveway or garage floor anyway? Simple as it seems, house exterior cleaning is not an easy task. It’s not as easy cleaning a car. It’s not just wiping off your outside walls or spraying water using only a garden hose. It’s more complicated than that. With our fast-paced life, maintaining a clean home can be a challenge. Weekdays are for work, while weekends are spent on family and friends and for much-dreaded rest. Getting necessary help for house cleaning is indeed more of a need. By hiring a professional cleaning service, you give yourself the gift of time. You don’t have to spend several weekends to finish cleaning your whole exterior. You don’t have to wait for another week to finally tick off a clean exterior in your to-do list. 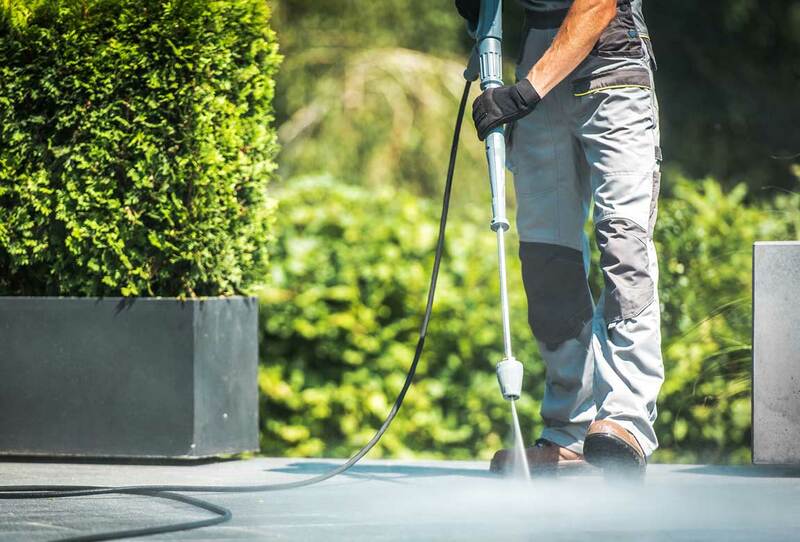 Having a professional exterior home cleaning and pressure-washing service saves you time and energy which you could use for your family instead. Exterior cleaning usually requires a pressure washer. Why would you buy something you could only use a few times a year? To add, pressure washers are complicated to use. By hiring professional cleaning service, you are assured of well functioning equipment. As professionals, they also have years of experience using pressure washer efficiently. They are highly trained professionals and are fully familiar with their equipment. Thus, no molds, dirt, grease and other impurities will remain in your home surfaces. Plus, you don’t have to spend money buying or renting cleaning equipment. Allowing professionals to do the job for you also assure a great clean. Since it is their job to satisfy their customers, they will put their great effort to clean your home sidings, roof, garage, gutters, and deck. 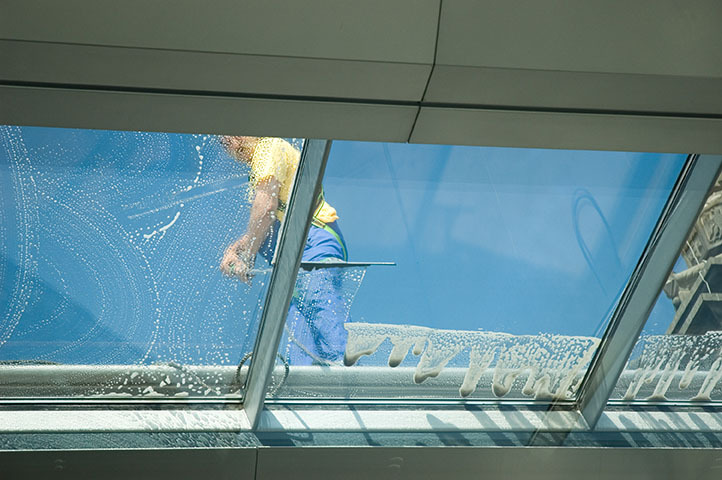 Their liability insurance also bounds these professional cleaning services. So it’s their responsibility to keep your things in a safe condition and to avoid any collateral damage in the process. This will give you the peace of mind that your belongings are given special care. Contact The Best Cleaning Service In Beaufort And Bluffton, SC. 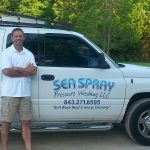 Why Choose Sea Spray Exterior Cleaning? Now that you have known the benefits of hiring professionals, it’s time to choose for the best home and commercial cleaning service provider. When you’re in Hilton Head Island, Bluffton and the Lowcountry, SC, Sea Spray Exterior Cleaning has a proven track record you can trust. 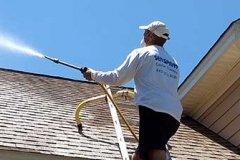 Sea Spray Exterior Cleaning offers extensive home exterior cleaning services as well as commercial cleaning services. Their mission is to provide superior technical proficiency and customer service in Hilton Head Island, Bluffton and Lowcountry, SC community. Contact Sea Spray Exterior Cleaning and Book Today!